Brand new territory for Reckless: Color! The Split features a turquoise graphic on a heather aqua t-shirt. 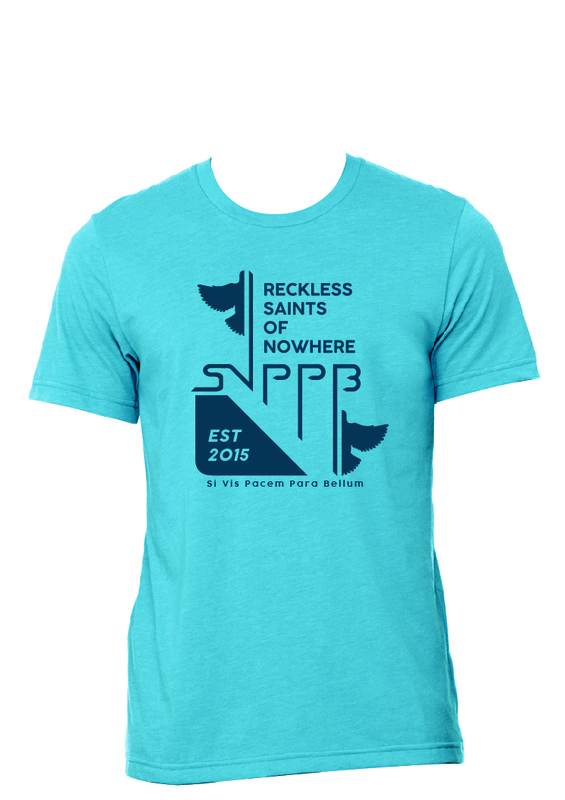 And the Reckless motto: SVPPB (Si Vis Pacem Para Bellum): latin for "If you want peace, prepare for war." This Bella+Canvas ring-spun cotton tee is also our softest shirt, yet.